Oh Daisy! 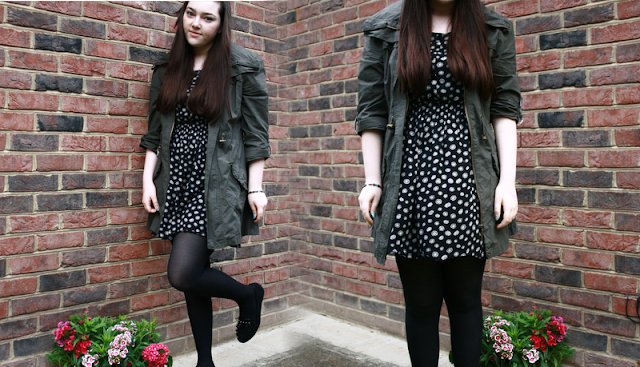 - What I wore | S J M W E L L - Fashion, Beauty & Lifestyle blog. My most worn dress! I picked it up in H&M ages ago, I love it and might attempt to make a dress using this as a pattern. I've been looking for a parka coat for year's now but just never found one I liked or their silly prices, when I saw this in Primark last week I instantly picked it up, I'm definitely going back for the grey one too, I've already worn it two times in a row, it's such a nice coat to just casually wear over absolutely everything when it's cold but not freezing, light enough to just fold in your bag also. Yes, I may be mad for buying a coat in "summer" but that really doesn't mean anything in England, it's already poured down the both day's I wore this. I'm surprised how versatile it is too, being khaki/green I didn't think it would match with much but it's my favourite item along with my loafer's at the moment. Anyone else fed up with the storm's? where's summer?! All year round in England it's important to have a casual but cool coat that can keep you warm if its cold, easy to pack away if it's hot and keep you dry if (when) it rains! 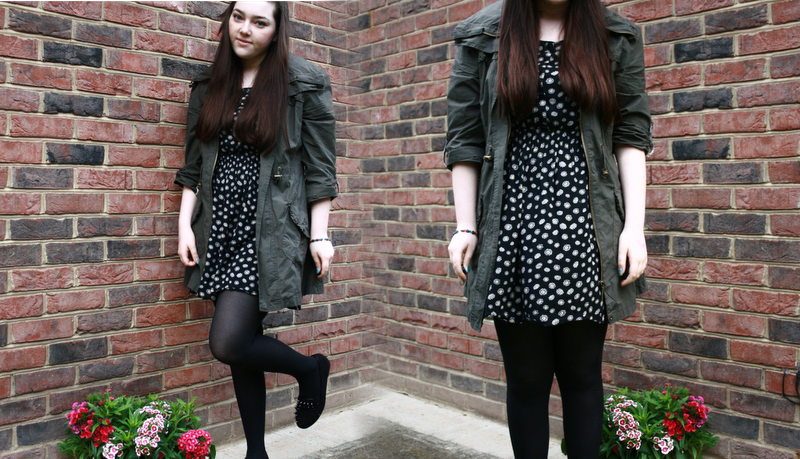 How miserable is the weather lately :( it's actually depressing that we're buying jackets and coats in July haha... I love your shoes in this outfit, I need them! Love the shoes! This weather is just terrible, I really want the sun to come out! Great coat, I need a thin one, I have my mac but it is still too hot sometimes, and you never know quite what is going to happen with the british weather! Those shoes are gorgeous. And YES, I am SO looking forward to a ray or two of sunshine... COME ON, ENGLAND! Lovely outfit! I'm in love with shoes!